Some mini Useein Bolts in the making? 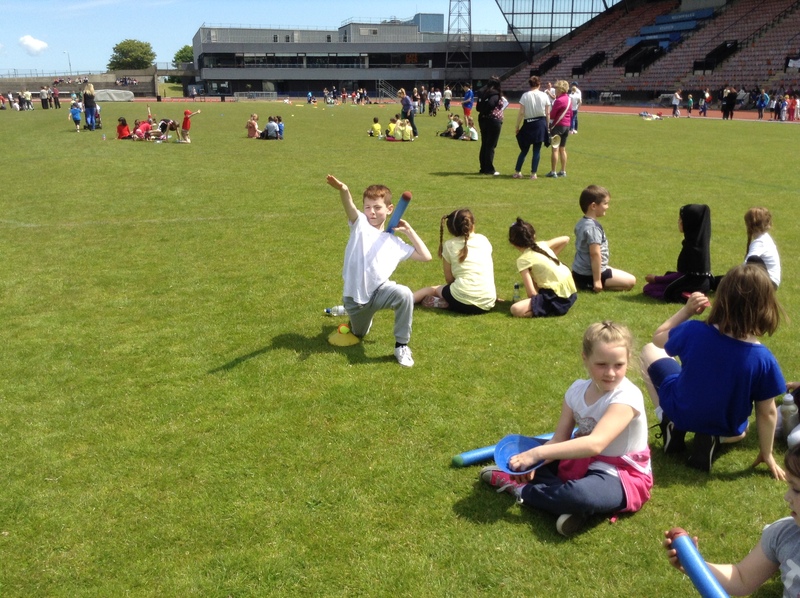 Primary 1-7 enjoyed a fabulously sunny Sports Day at Meadowbank Stadium on Tuesday afternoon. Everyone enjoyed all the fun activities and then the younger classes cheered on the P4-7 pupils who braved the 100m and 400m competitive runs. Well done to everyone for taking part and a big thank you to Ms Rolland who organised it all for us, and to all the families who came along to support us. 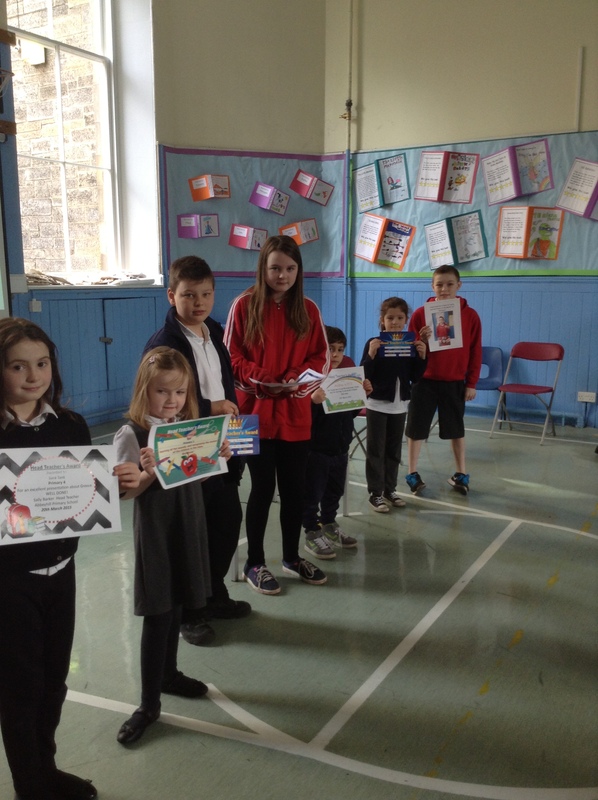 This entry was posted in Primary 1, Primary 1/2, Primary 2, Primary 3, Primary 4, Primary 5, Primary 6, Primary 7 and tagged Health and Wellbeing, Health Week, Sports Day on 12/06/2015 by Abbeyhill Primary School. 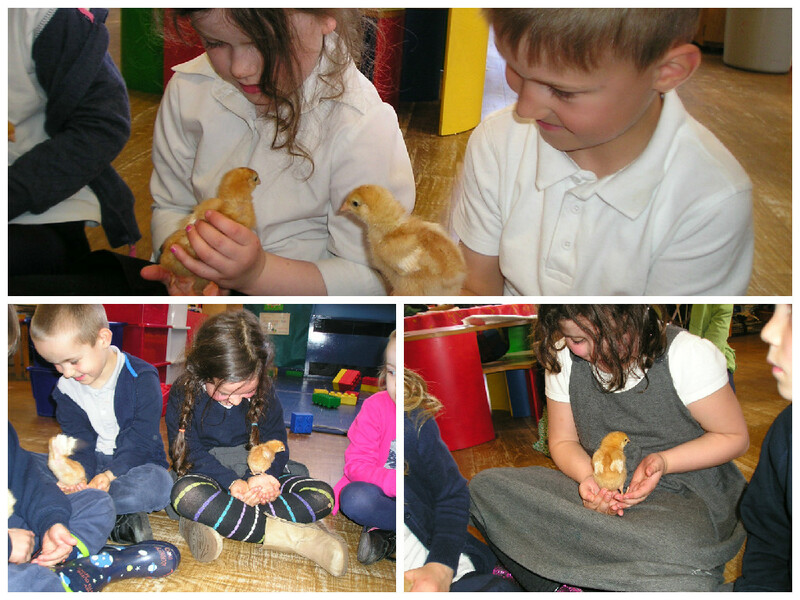 P1/2 want to say a big thank you to the Nursery for letting us visit to see the chicks that hatched out. We were very excited to see them and delighted to be able to hold them. We were very gentle and careful and enjoyed stroking their soft feathers and feeling how tickly they were on our hands. We were impressed by how quickly they had grown since they hatched last week. This entry was posted in Nursery, Primary 1/2 and tagged Active Learning on 07/05/2015 by Abbeyhill Primary School. 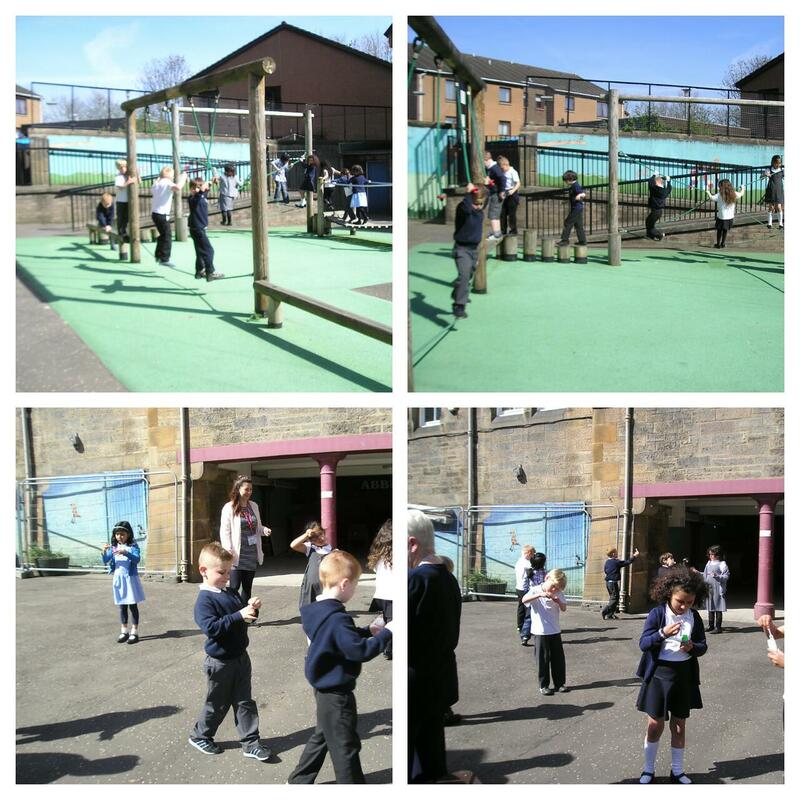 P1/2 were so glad that the bottom playground had reopened that they just had to go and try it out. They had a great time on the trim trail and playing with bubbles in the sunshine. They also took Ms Sherazee with them, she is a PGDE student from Strathclyde University who is working with them for the next few weeks. 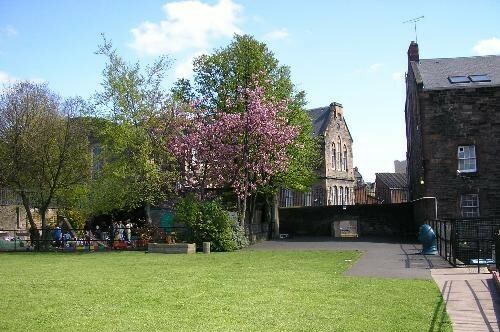 This entry was posted in Primary 1/2 and tagged Fun!, Playground on 25/04/2015 by Abbeyhill Primary School. Yesterday, all the children in Primary 1 went to Holyrood Palace for a spring walk. We were very excited to be together, and the weather was beautiful! First we were taken into the special gardens, which aren’t open to the public at this time of year, and saw where the Queen’s garden party is held each year. We got a chance to pretend to be soldiers looking after the palace. We looked out for signs of spring. We saw some beautiful spring flowers, and got very good at identifying crocuses, daffodils and snowdrops. Next we were taken into a secret wood, where the Queen has her cup of tea in the morning when she comes to stay. We were very quiet as we listened out for birds and looked for signs of nest building. Finally we looked for buds and blossom on trees and added them to our pictures. We were lucky enough to spot a squirrel jumping through the trees. We had a lovely trip, and can’t wait to go back next season. Thanks to all our helpers for joining us on such a lovely day. This entry was posted in Primary 1, Primary 1/2 and tagged Community, local area, Outdoor Learning, Trips, Visits on 20/03/2015 by Abbeyhill Primary School. Well done to all these pupils who have been working extra hard this week! This entry was posted in Primary 1, Primary 1/2, Primary 3, Primary 4, Primary 5, Primary 6, Primary 7 and tagged Assembly, Celebrating Success, Wider Achievement on 20/03/2015 by Abbeyhill Primary School.